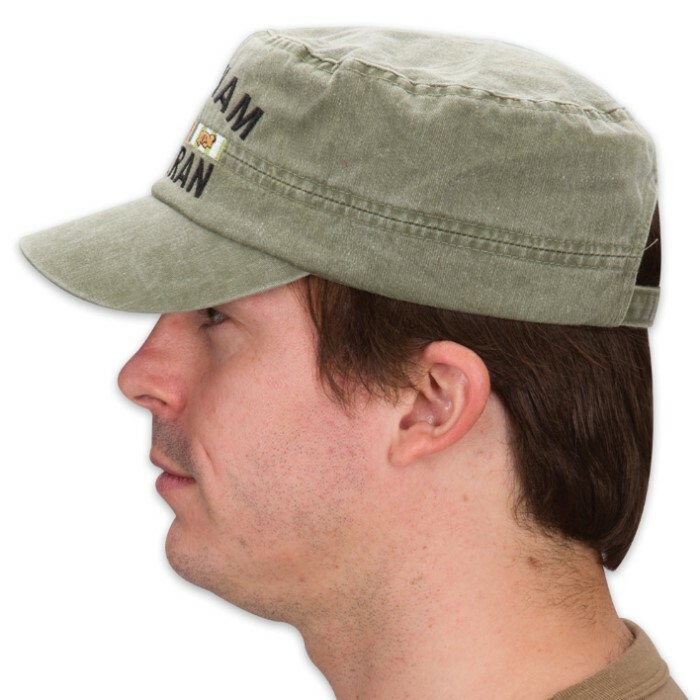 Vietnam Veteran Flat Top Cap - Hat | BUDK.com - Knives & Swords At The Lowest Prices! 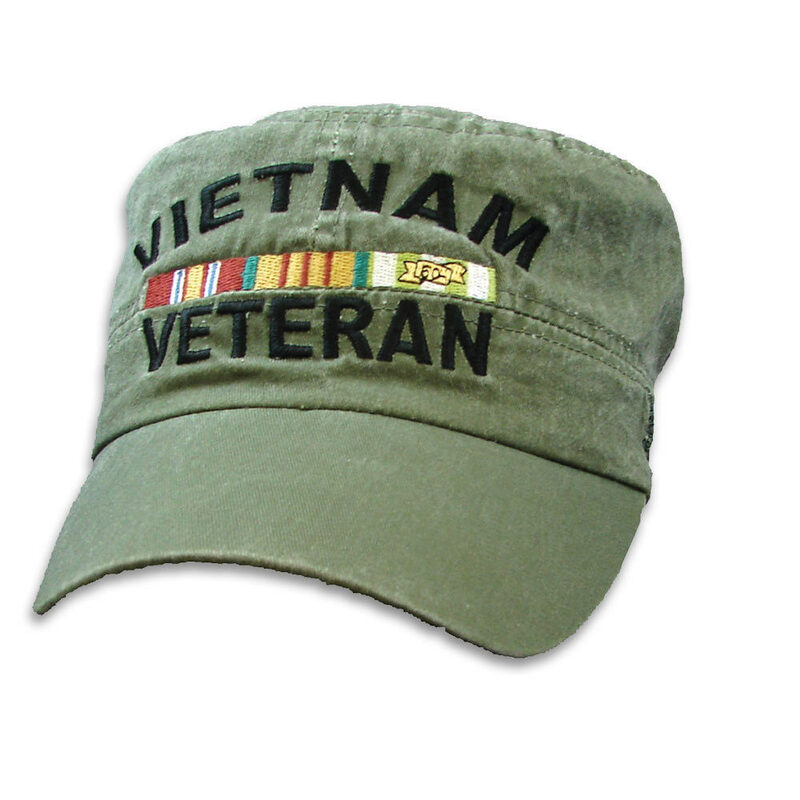 Never forget with this Vietnam Veteran cap! Get yours today! 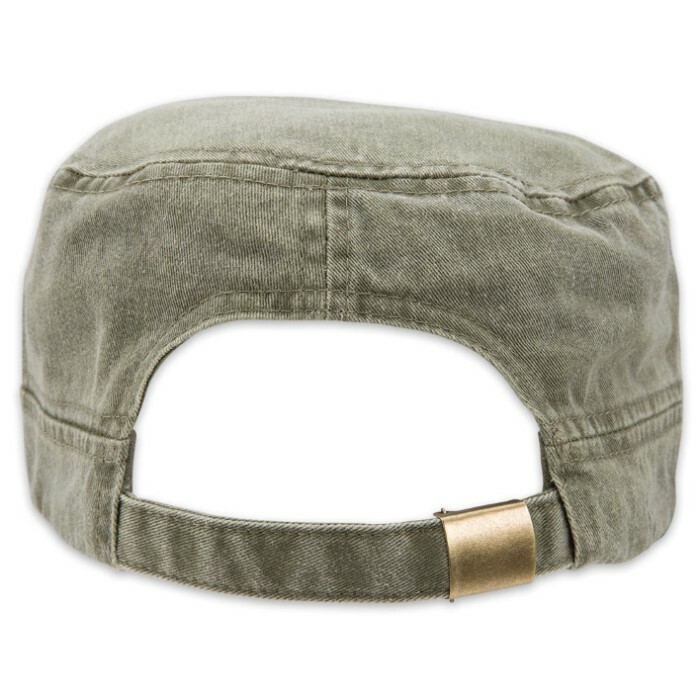 The olive drab cap is made of 100 percent cotton and has a flat top design. "Vietnam Veteran" and the Vietnam War service ribbon are expertly embroidered on the front this hat. It has an adjustable band with a brass-colored sturdy metal clasp. One size fits most adults. This hat makes an excellent gift for a veteran. Comfortable and looks great! I get lots of positive comments on it. I've ordered a number of these hats in the past and give tgem to other Vet. They are top notch hat, everyone I give them to loves them. Saw this one and knew I had to have it. Bought one for my bud and 2 more, 1 for a spare and one to keep in my truck for a give away. Get a lot of comments on the hat and my service. The hat is made well and I like the subdued colors. Have purchased a dozen of these as gifts for Vets. To a man they really like them. Don't wear this hat unless you have plenty of time to answer questions because you will be stopped repeatedly. Buy 12 - 2 for you and 10 to give away. This hat is shaped like the patrolling hat worn in Ranger School. It's very differnt from the baseball caps that are a little too bright. I like the subdued colors. A great change from all the baseball caps. Looks good and I get lots of comments when I wear it. Great looking cap at a good price. Bought one for myself and another for another friend who was also a nam vet. I got this cap to honor the Vets of Nam,,, I love it but have yet to wear it. Wondering how the Vets feel about others wearing this if they didn't get selected to go. Although I would've gladly and still will fight for this country today if need be. Mark in Kenrucky.